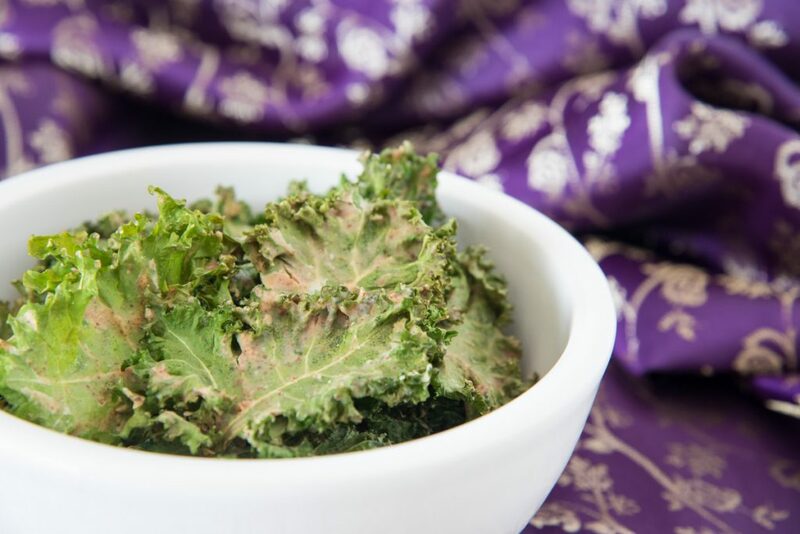 Satay Kale Chips are so delicious you'll forget they are loaded with kale. 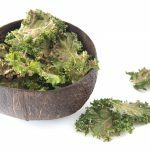 More than that, they ARE kale! 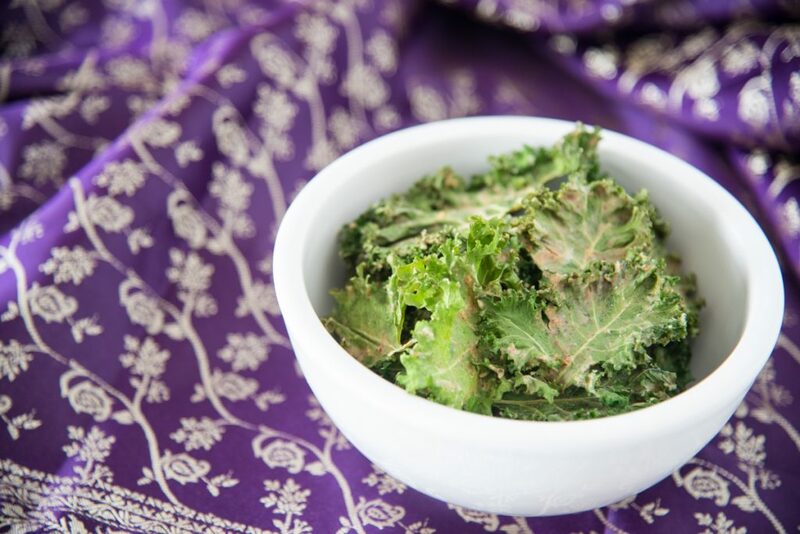 So easy, you may not want to eat kale any other way: all satay kale chips all the time. Are you a sports watcher? I used to be, now I'm just there for the snacks. The last few years, I've found myself rounding out a 30-day challenge, so this first weekend in Feb is filled with food that maybe isn't the best for me. All in the name of sports watching, ever heard of a little game called the Superbowl? And cravings. But mostly cravings. Now that my focus has shifted from the game to the snacks I feel like I can live my truth. During the big game, I can chat and snack, making it back in time to watch the commercials. IF I manage to watch the big game, I could just make hella snacks and then power thru an HBO series. 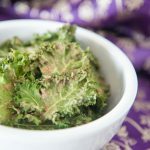 Or… I could make a giant quadruple batch of “Devi's Magic Sauce” and celebrate the deliciousness of satay sauce, make these Satay Kale Chips and still have some leftover for Raj's Paleo Satay Avocado Prawn Omelette. I could skip the T.V. altogether, it could be a celebration of satay and I could watch the sunset in my PJ's while listening to some Florence and the Machine, or classic 90's gangster rap. Ohhhh… it could be a self-care satay extravaganza! I can still eat kale chips while I Beautycounter face mask!! Well, it looks like my Superbowl plans have taken on a new life. Face masks and self-care. I am excited. This isn't all about me, I want to hear about your snack plans. Are you a sports fan, or like me, purely a snacks fan? water, up to 1/4 cup ***water doesn't count as an ingredient in my books. Plus you might not need it. 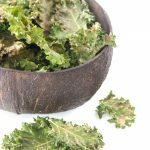 Massage into Kale to cover with deliciousness, not too thick, as it takes FOREVER to dehydrate them then. Preheat oven to 200F and Bake for 25 minutes, check on them, they may need more time, keep them in there until they crisp up. This is such a simple and delicious recipe! 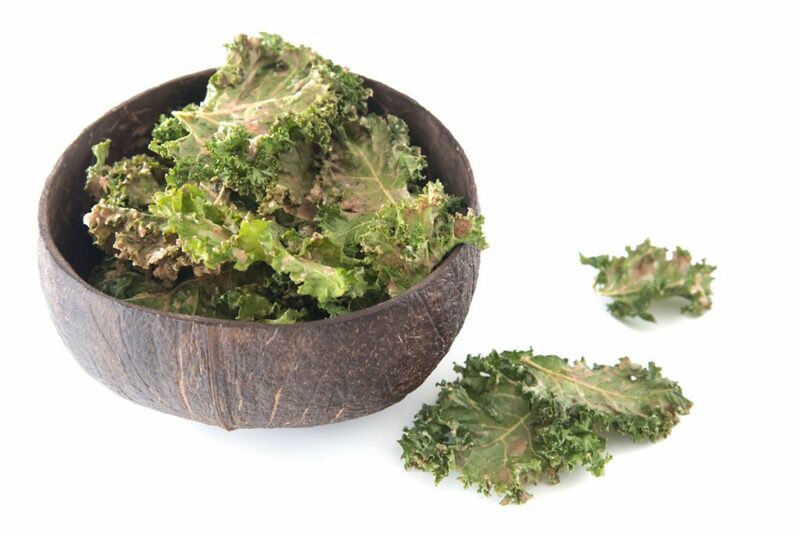 kale is my favorite, but I’ve never had it with this combo of flavors. it’s so unique- thanks for sharing!